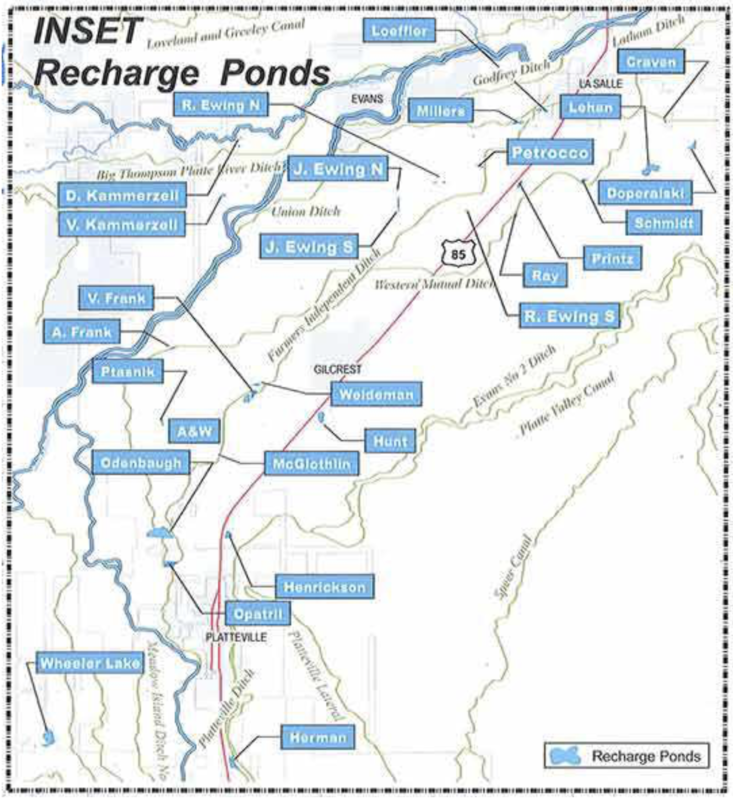 Recharge pond graphic via the Central Colorado Water Conservancy District. Voters in the Central Colorado Water Conservancy District passed a bond issue worth $48.7 million 57.99 percent to 42.01 percent, according to preliminary election results. Central’s boundaries stretch through parts of Weld, Adams and Morgan counties and serve about 550 farmers who operate about 1,000 irrigation wells. But thousands of people live and vote in the district. The Yes for Water campaign helped sway those voters, and in a statement sent Tuesday night to The Tribune, officials said they were pleased with the passage of Ballot Question 7E. “Issue 7E’s passage demonstrates our region’s commitment to supporting family farms and our agricultural economy, providing water storage and resources now and in the future, and protecting and maintaining our rural way of life,” according to the statement. The bond issue represents a property tax increase of about $22.80 per year for a home valued at $500,000. Those taxes will go toward paying off debt for a variety of projects, including more lined reservoir storage near Fort Lupton, Greeley and Kersey to increase the district’s holdings by 25 percent, allow the district to buy more water rights and help construct a massive artificial recharge project in Wiggins near the Weld and Morgan county line.